Quebec, November 17th, 2017 – Village Monde has launched a new collaborative platform for online booking, VAOLO, which promotes sustainable tourism initiatives worldwide. This platform represents a real trendsetter tool and a reference regarding responsible tourism and sharing economy. Vaolo is a collaborative platform that allows travelers to go beyond the journey, connect with authentic human hearts and discover the world differently. A journey source of positive impacts for host communities and travelers. Vaolo (www.vaolo.com) directly connects remote and rural accommodations certified by Village Monde for their positive impacts to a worldwide network of travelers looking for new and authentic destinations. This way, Vaolo makes possible the reservations of trips in those communities without intermediary. Furthermore, the money spent in those destinations helps the host communities to improve their quality of life. It is like an AirBnB of responsible tourism, while the money spent helps the host’s community. By launching Vaolo’s platform, the organization takes on as objectives to cluster around 4000 accommodations operating in accordance with principles of sustainable development before 2020, and to get the largest number of travelers to adhere to this movement dedicated to change the world, one journey at a time. From its launch on November 16th, the platform already offers up to 200 accommodations in 30 different countries. Village Monde firmly believes that sustainable tourism is accessible to all and that it constitutes an emerging trend in the tourism sector. The name Vaolo takes all its sense and its origins in Madagascar, a country rich in potential and wonders for all travelers. Madagascar is a destination that Charles Mony, the founder of Village Monde, knows well and that inspired the new project. The designation Vaolo stems from Vaovao Loharano, a Malagasy expression which means New Source… A new source of income and sustainable development for the future of all remote communities, but also a new source of destinations for travelers in search of discoveries and sharing. Currently, 85 % of the decisions for trips are made on Internet, facilitated by a very fast development of collaborative platforms and online reservation websites. It becomes harder for initiatives in remote areas to give themselves the needed visibility to be connected to the travel market. It is to answer this need and to facilitate this connection that Village World developed Vaolo. It builds a real bridge between two worlds to offer new destinations, to decrease the negative effects of tourism concentration and to fairly distribute revenues. Village Monde is a pioneer in its domain, especially regarding the development and support of other organizations working in responsible tourism. This new platform, which gathers hundreds of accommodations, is the fruit of diligent work, intensified in the last few months. Its release coincides with the end of this International Year of Sustainable Tourism for Development, as declared by the United Nations General Assembly. 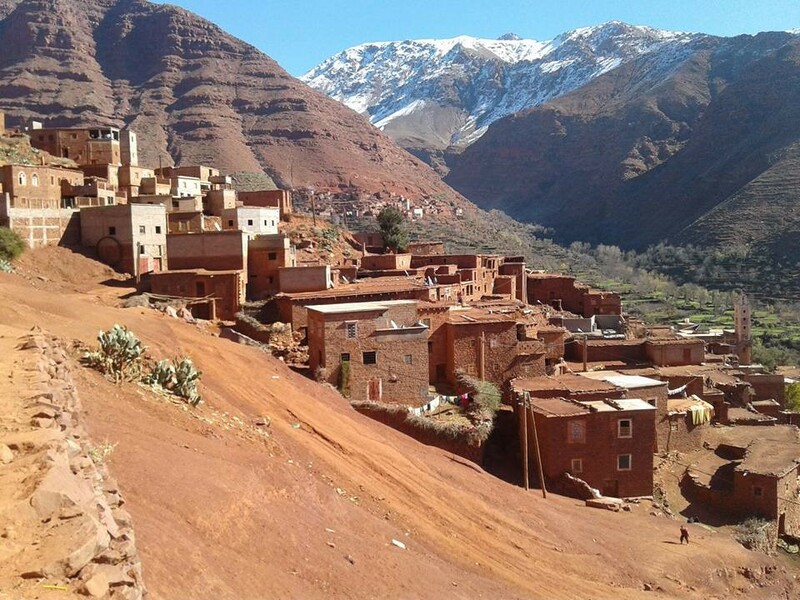 In Tizi N’Oucheg, Morocco, life has not always been easy, due to lack of jobs and economic activities, resulting in an exodus of the youth from the land, in search of better conditions. Fortunately, over the last ten years, things have improved drastically. Tizi N’Oucheg’s association believes the income from tourism must have a positive local impact on the whole community. With that income, infrastructures were developed, including the primary school, the tap water system, the electricity and a craft workshop… And it is only the beginning! This is the kind of initiatives that are supported and for all to discover on Vaolo. Village Monde is an international philanthropic organization of social innovation from Quebec City, founded by Charles Mony, a successful technological entrepreneur. Village Monde favors the development of a sustainable tourism network to contribute to the improvement of living conditions into remote and marginalized communities. By its activities and its technological platform, Village Monde connects communities located away from usual tourist routes, offers a quality label and supports the creation and the improvement of sustainable tourism initiatives.